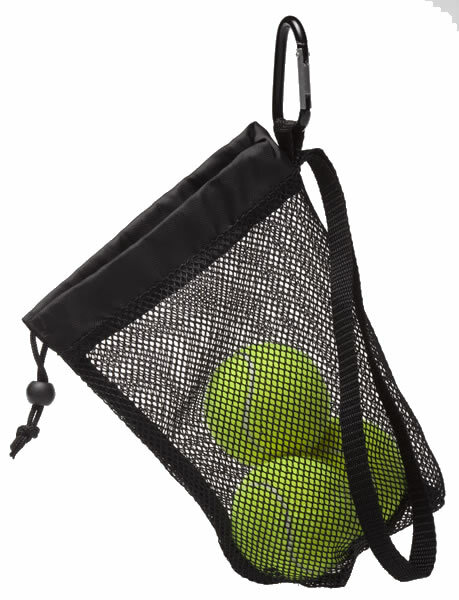 Ball/Bag Caddy - Clips to Your Leash or Belt Loop. A staff favorite - Carry on your belt loop! Carry it on your wrist! But carry it - keep all your dog walking needs handy - balls, leashes, bags. Constructed of super durable, washable nylon mesh. A great way to organize your walk. Measures 6" x 8" with a nylon loop handle, draw string closure, and belt loop carabiner. Free USPS shipping in US only.